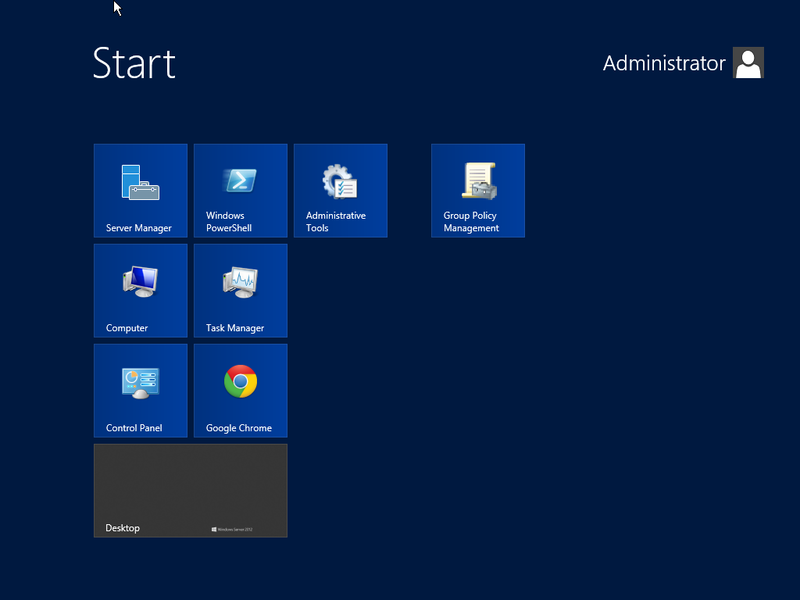 We're testing an on-premise Windows Server 2012 (Datacenter) server. It has been installed with the GUI because it's internal, test only - we don't care about the attack surface until we're ready. Given the shared lineage, I assumed the non-Metro GUI experience would be fairly similar to Windows 8. Is that a valid assumption? The Microsoft Basic Display Adapter, as the name implies, is meant to be basic. This means you are locked to a resolution of 1024x768 and have minimal desktop eye candy. To resolve this issue, install display drivers provided by the video card manufacturer. AMD's Catalyst 12.8 or later "for Windows 8" has been working perfectly for me on Server 2012. Or, you can just ignore the issue. If you're going to install Server Core into production (eventually) anyway, then it doesn't really matter much whether you have display drivers or not. I guess I'm a little amazed when I see questions about why legacy hardware isn't recognized on a new OS. Any hardware manufactured before the release of Windows Server 2012, which is not on the HCL and for which the manufacturer doesn't have a driver is legacy hardware. Furthermore, Windows Server 2012 != Windows 8. AMD does not have a Windows Server 2012 driver for your video card and what's more the video card is not on the Windows Server 2012 HCL, so why would you expect it to be recognized? 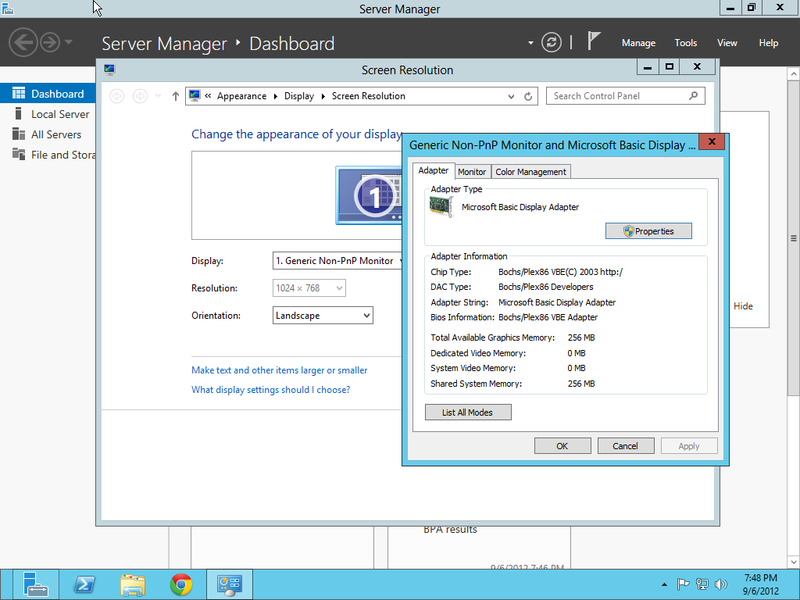 Question: How can I get the display adaptor recognized and working in Server 2012? Answer: Wait until AMD releases a Windows Server 2012 driver or purchase a supported video card. One final thing, a problem is defined as "something that should work, but doesn't". In your case you have "something that shouldn't work, and doesn't". So I'd say things are actually working (as in not working) as I would expect. After Troubleshooting is done click on test run the program. the installation will start and you will be able to install with no errors. There is yet another answer to this thread. As cited by michael-hampton the specific version of Microsoft Basic Display Driver which is finally installed in your system has 100% hard-coded the resolution you are getting (in my case 640x480). Since this is not configuration, so there is no possibility to modify that. However there are some users which have manually edited their .SYS display assembly in order to change these values (BASIC_DISPLAY_DRIVER::GoToHeadless function). Not the answer you're looking for? Browse other questions tagged graphical-user-interface windows-server-2012 display or ask your own question.